Today’s growing opportunity for online degrees can be an attractive option for your high school student with cerebral palsy (CP). Here are the pros and cons of such an option from my perspective. In 1961, I didn’t have the online option, of course, for obtaining my college degree. That was also before the Americans with Disabilities Act (ADA) and Section 504 of the Rehabilitation Act (section 504). As a new high school grad, I had earned a four-year state scholarship from Wisconsin pre-DVR services, and I was excited about getting my degree in journalism from the University of Wisconsin-Madison. I remember going to the Madison registrar office on Bascom Hill ready to apply for school, only to find the admissions people wouldn’t accept me because they believed I couldn’t climb the hills and steps on campus to make it between classes. Reluctantly, I agreed to take my first two years of classes at the then Wisconsin State College at Platteville, a smaller, flat campus. I earned straight “A’s” and then was finally accepted as junior at Madison, where I could obtain my journalism degree. During the summer after my sophomore year, I learned how to use Canadian crutches in the fields of our home farm, timing my pace each day so by that fall I knew I could even climb the Bascom Hill steps to get to class within the 15-minute break between sessions. Looking back, I could have used today’s options in education as well as the curb cuts and elevators now mandated by the ADA. I could have also used an electric scooter, my Amigo, which, at the time, was not yet on the market. Today’s colleges and universities are struggling to discover how to define themselves in an educational environment where virtual learning is becoming increasingly commonplace and lectures by the most distinguished professors are available online. I’m curious to see how brick-and-mortar campuses are going to adjust to this new reality of students worldwide having a virtual learning option. Check AccreditedOnlineColleges.org, a general information website with many resources useful to all people looking to further their education. This site discusses the offline and online educational paths your youngster can follow to obtain a degree from an accredited institution. for your high school student? Another helpful site is OnlineSchool.org, which allows users, for free, to search and locate all non-profit higher education institutions with online course offerings. I also recommend this article: Accredited Online Colleges and Disability Education, which is a quick summary of the situation as it exists today for individuals with disabilities. 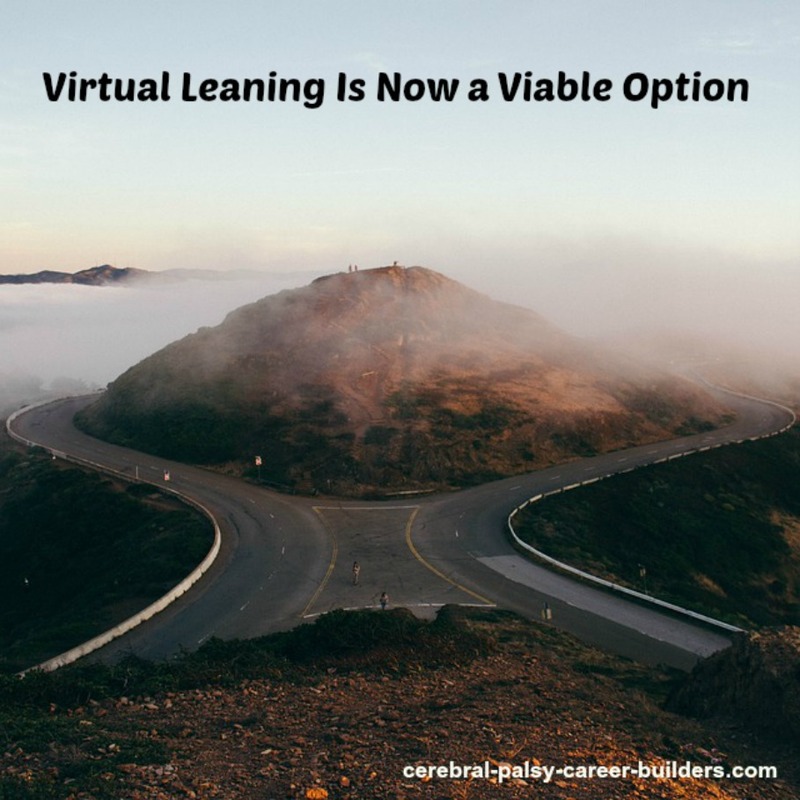 Here’s how I view the advantages and disadvantages of virtual learning. Expenses for a dorm or an apartment are eliminated. There are fewer hassles and easier access for those with mobility and other accommodation issues. There’s an increased opportunity to access the best programs and lecturers. Scheduling classes and learning time is more flexible. Individualized attention by instructors is more convenient and time efficient. Online degrees may have less prestige within the work world. Students may miss the experience of living independently for the first time. Students may miss day-to-day, face-to-face interaction with people from different cultures and backgrounds. Students may miss the synergy of in–person group activity which often generates innovative entrepreneurial opportunities. Students may miss important in-person learning experiences which provide individual feedback and build teamwork skills. Deciding whether to join the trend toward online degrees depends on the personal preferences, educational goals and career objectives of your son or daughter. That’s why it’s important to discuss these issues now, while he or she is still in high school. Of course, another consideration is the availability of scholarships. I recommend this excellent resource for discovering as many scholarship opportunities as possible. Be sure to check section 8 about the best scholarship search platforms for students with a disability.